Here's another dress I made for my daughter this week. Shocker. I know. All of my blog readers that are strictly quilters may be gone by now. Of course, interests, time demands, and needs change. I did find this to be a challenging sew but not enough for me to never return to the pattern again. Gathering the ruffles was very tedious and the bodice ruffle took me at least a full hour. I also struggled with the instructions - it wasn't the clear, concise format I've been used to. I purchased the fabric from an after Christmas sale at $5 a yard. That kind of price was perfect for a project like this, especially when I thought I needed 1.5 yards of each fabric. (It turned out I needed a bit less of each, as I have some leftover fabric besides scraps). Thanks for reading! I am going to sew another dress this week but I've also started a brand new quilt. I'll check back in soon. 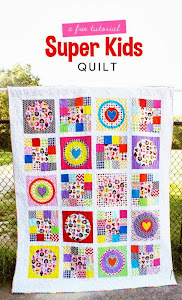 Linking to Crazy Mom Quilts for Finish it up Friday. oh my word! cutest ever!! This is one adorable little dress. 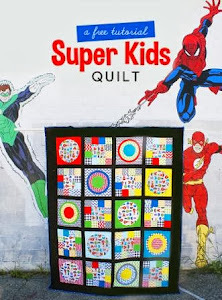 I'm a quilter who's sticking around, but I'll admit there was a time when I was less quilter and more seamstress because I was sewing for myself and our three boys--rarely quilts. Now, I quilt and occasionally make repairs. You're right, life does force us to make changes. Oh so darling!!! Girl and dress!!! Such a pretty dress. And that beaming smile on your little girl's face says it all! She loves it!